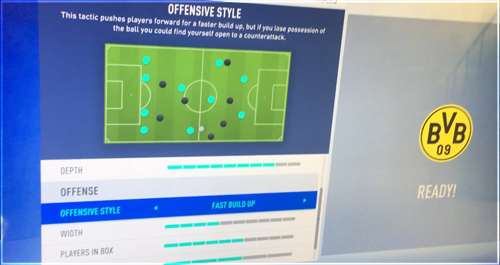 All of these things mentioned can be changed in the new FIFA 19 tactics system. This is great news for many players because they have been hoping for this for many years now. This will significantly improve career mode because the manager can now put his own spin on the team which is exactly what was needed in the past to take it to the next level. Most of these mentioned are basic to understand but this is just the offensive style we will also be able to change defensive etc. We are not too sure if you will be able to change the Attacking, Ultra attacking presets but it would be very good if it is possible. Park the bus has also been removed this year so this could possibly mean that you do change your own presets and park the bus is not needed you can just use Ultra defensive. 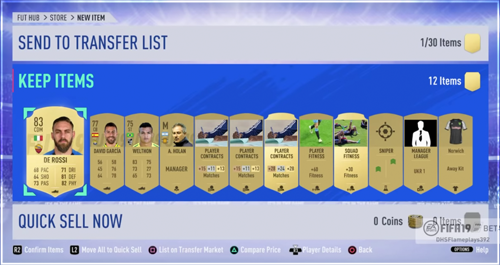 This is how it looks and EA does like adding a few of these things every FIFA. As we saw in FIFA 18 they added quick substitutions and this year it looks like it is going to be a new tactics system. Overall this is definitely a step in the right direction by EA Sports and has been underlooked by most of the FIFA Community but players will start noticing when the FIFA 19 Demo and Beta starts to get released. 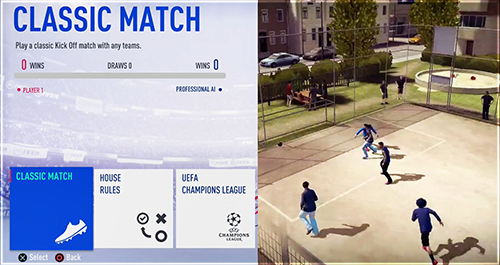 This new feature will change the whole of FIFA because players are now going to be playing completely different from each other and will definitely make games in FIFA 19 a lot more interesting.